The 2010 Cadillac CTS takes an edgy, American approach to European performance-and style, with the stunning CTS Sport Wagon. TheCarConnection.com drove the Cadillac CTS Sport Sedan and CTS Sport Wagon to write this review from firsthand driving impressions. Editors compared the CTS to its European and Japanese competition to help you narrow your car-shopping choices. TheCarConnection.com also assembled a companion Full Review, to bring you a condensed look at the opinions and comments found on other respected car-review Web sites. The 2010 Cadillac CTS is General Motors' entry-level luxury sedan in the U.S. market. Redesigned in 2008, the CTS lineup gets a new Sport Wagon model for 2010 (and a CTS Coupe is coming in 2011). With a base price of about $37,000, the CTS lineup can run up to $54,000 for the premium all-wheel-drive wagon-and the related CTS-V supersedan costs far more (it's reviewed separately). Though the CTS is a little longer and wider than its competitors, the Cadillac goes up against the BMW 3-Series, the Audi A4, the Infiniti G37 / EX35, and the Mercedes-Benz C-Class. The 2010 CTS is, in some eyes, the most distinctive of all the vehicles in this set. Sharply folded edges, a chunky stance, and lots of chrome details give the sedan a stubby, sporting look. The huge Cadillac wreath-and-crest logo in front isn't subtle, but then, not much about the CTS is. This latest version is less tall and awkward than the prior version, and it projects a uniquely American look that's appealing from most angles. The 2010 CTS Sport Wagon is a little visually kinkier; the rear end intentionally rises out of skew to the rear side windows, and the V-shaped tailgate narrows cargo room a little for a brand-underscoring styling moment. The cockpit is handsome, but it's more glitzy than any German car you can name, and some of the trim pieces and plastics draw attention to themselves, and not for the right reasons. Either body style in the 2010 CTS lineup can be ordered with a smaller or a larger V-6, with a choice of rear- or all-wheel drive. A manual transmission is offered on the sedan, but it's automatic-only for the CTS Sport Wagon. The base engine is a 3.0-liter V-6 with direct injection and 270 horsepower. Fuel economy hasn't been released, but it's not expected to be any more efficient than the larger V-6-just less expensive to order. For that reason alone, TheCarConnec-tion.com would recommend the larger 3.6-liter V-6. It's also the better choice be-cause of its zippy acceleration and ample power. With 304 hp on tap, Cadillac says the manual sedan will accelerate to 60 mph in 6.7 seconds; the base automatic Sport Wagon, in 7.0 seconds. The manual shifter's fine, but GM six-speed automatic changes gears sweetly, and in the Sport Wagon it gets paddles for a more sporting flair. Cadillac tunes in great steering feel in the CTS, and with four different suspension choices, it can be suited to most drivers. The FE3 setup is the best: it generates crisp handling and a firm but compliant ride that'll make enthusiasts happy on a daily basis, even if they choose the big 19-inch wheels and summer tires. The 2010 CTS is a snugly fitting machine, especially in sedan form. In front, firm sport seats give good support, with a little skimping of knee room where the elaborate center console flares. The sedan's shorter rear door openings and slighted legroom make the CTS Sport Wagon the clear choice for anyone transporting more than two adults at a time. The Sport Wagon's relatively easy to enter and exit, and that makes all the difference for those extra passengers. Their luggage can ride in back or maybe your pets or, possibly, the effects of a binge at Costco. It's useful in back, in that the CTS Sport Wagon adds 25 cubic feet to the passenger space, and lets owners flip down the rear seats for a total of 53.4 cubic feet of room. It's easily accessed, with a power tailgate as standard and a roof system that adds uncovered capacity to its cargo-hauling profile. Under the flat cargo floor and built into its sides are trays, hooks, and a little basement-style storage area, all of which give the Sport Wagon a definite advantage over the CTS Sport Sedan's decently roomy trunk and its relatively smaller cargo opening. Quality mavens may quibble over the CTS' liberal use of plastic, but the interior boasts high-quality upholstery and trim that's certainly the equal of the other vehicles in the class, if more attention-grabbing. The 2010 Cadillac CTS Sport Sedan / Wagon earns four stars for driver-side front impacts from NHTSA (National Highway Traffic Safety Administration), and five stars in the front-passenger and in both side-impact tests. The IIHS (Insurance Institute for Highway Safety) gives the CTS "good" ratings for impacts front and side, and the CTS is on their Top Safety Pick list. Standard safety equipment includes six airbags, as well as traction and stability control; all-wheel drive is an option on CTS Sport Sedans, standard on CTS Sport Wagons. OnStar is stan-dard; adaptive lighting and parking sensors are available. With the addition of the CTS Sport Wagon, Cadillac's touched up the standard features on the lineup for 2010. All sedans have power features, automatic climate control, cruise control, a tilt/telescoping wheel, a power driver seat, satellite radio, and automatic headlamps. Sport Wagons get a power tailgate. Options include Bluetooth, a panoramic sunroof, an infotainment system, navigation, ventilated seats, 18- or 19-inch wheels, and a choice of summer or all-weather tires. 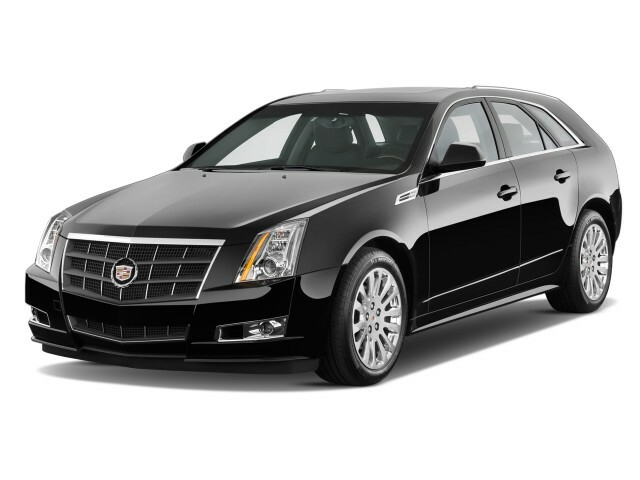 With a few dissenters, most reviewers agree with TheCarConnection.com: The 2010 Cadillac CTS is as handsome and stylish as entry-luxury cars come. The 2010 Cadillac CTS is General Motors' entry-level luxury sedan in the U.S. market. Redesigned in 2008, the CTS lineup gets a new Sport Wagon model for 2010 (and a CTS Coupe is coming in 2011). The 2010 CTS is, in some eyes, the most distinctive of all the vehicles in this set. Sharply folded edges, a chunky stance, and lots of chrome details give the sedan a stubby, sporting look. The huge Cadillac wreath-and-crest logo in front isn't subtle, but then, not much about the CTS is. This latest version is less tall and awkward than the prior version, and it projects a uniquely American look that's appealing from most angles. ForbesAutos says the CTS could be "the center of positive attention wherever the affluent gather," though Cars.com remarks "the front end can come off as a bit busy." Motor Trend thinks the CTS sedan could be "the best-looking modern luxury sedan," and with the addition of the Sport Wagon, the CTS becomes "the best-looking shooting brake." The 2010 CTS Sport Wagon is a little visually kinkier than the sedan; the rear end intentionally rises out of skew to the rear side windows, and the V-shaped tailgate narrows cargo room a little for a brand-underscoring styling moment. There's a subtle motion along the body that emphasizes, rather than subdues, the big rear end. If you're no fan of Cadillac's "Art &amp; Science" styling theme, it doesn't get any softer with the added wagon back, but as Car and Driver agrees, the "crease-intensive sheetmetal gives it an air of sportiness," and "it's more attractive than the sedan." Edmunds simply calls it "gorgeous," while Automobile observes the Sport Wagon is "the fashion equivalent of wearing a baseball cap with the bill swung rakishly back." The 2010 CTS' interior design is attractive, but it might not suit everyone's tastes, especially those who are used to Teutonic design approach of less is more. It's smooth and flowing in its contours-""elegant," Edmunds says-but far glitzier than any Audi you may have sampled, and some plastic pieces seem to stand front and center for attention. Edmunds adds there's "a pleasing mix of available wood accents, tasteful alloy trim and a stitched soft-touch dash." 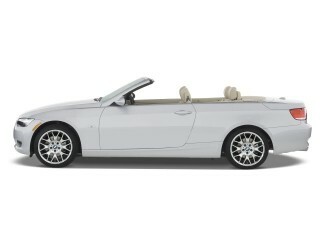 Kelley Blue Book calls it a "cheerfully luxurious design" and thinks "every control was easy to see, find and operate." ConsumerGuide singles out the center console, and criticizes how "the v-shape center console stack puts most buttons into a smallish area of the dashboard." ForbesAutos feels the interior's "harmony is broken by too many textures, accents, and distracting elements." There's little change with the Sport Wagon; "the majestically rising navigation screen, the cut and stitched leather trim, the real tree wood accents, and the highly detailed instrument panel carry over into the Sport Wagon with a few improvements," Automobile asserts. The 2010 Cadillac CTS lineup matches the ride-and-handling balance of European brands, though its hefty body dulls the speedy sensations a bit. 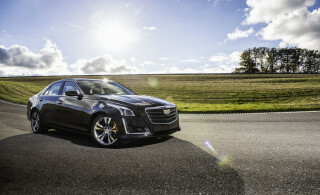 Variety's the name of the game in compact luxury cars, and the CTS follows suit with plenty of choices for drivers. 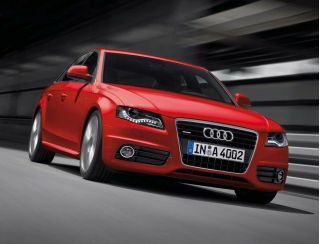 The sedan and wagon can be ordered with a smaller or a larger V-6, with a choice of rear- or all-wheel drive. A manual trans-mission is offered on the sedan, but it's automatic-only for the CTS Sport Wagon. In true Euro-fighting form, the CTS's acceleration, ride and handling, and braking are the equal of most cars in its class. The base engine is a 3.0-liter V-6 with direct injection and 270 horsepower. Fuel economy hasn't been released for 2010, but it's not expected to be any more efficient than the larger V-6-just less expensive to order. 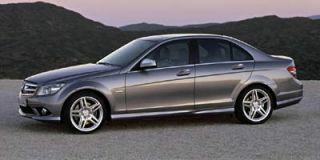 For that reason alone, TheCarConnection.com recommends the larger 3.6-liter V-6. 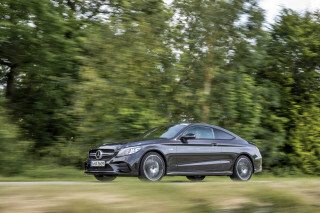 It's also the better choice because of its zippy acceleration and ample power. ForbesAutos says, "While it doesn't bubble with enthusiasm when revving to its 7,000-rpm redline, it delivers more than enough energy to hustle this nearly 4,000-pound sedan along with gusto." With 304 hp on tap, Cadillac reports the manual sedan will accelerate to 60 mph in 6.7 seconds, confirmed by Edmunds. That's not as quick as the competition. Edmunds proposes it's "likely due to the fact that it weighs about 300 pounds more than the BMW 335i and Lexus IS350." The base automatic Sport Wagon adds a few more ticks to hit 60 mph in 7.0 seconds. "Running from 0 to 60 in 7.0 seconds isn't criminal," Car and Driver notes, then explains, the Sport Wagon "is 241 pounds portlier than the last CTS sedan we tested." That's "a clear disadvantage," they declare, "but the extra mass is offset by improved weight distribution." The automatic's the clear preference of most reviewers. 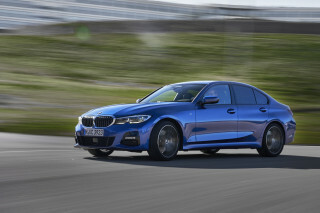 The manual shifter's fine, but Car and Driver says "even with a new shift linkage for shorter throws, the manual isn't nearly as fluid as those from BMW." GM's six-speed automatic changes gears sweetly, and in the Sport Wagon it gets paddles for a more sporting flair. Car and Driver observes in the sport setting, "it quickly gets bold, dutifully holding gears...and aggressively downshifting under braking." CNET reports the automatic's programmed to downshift depending on how hard you brake going into a corner, and to hold off on upshifts when cornering, which makes the 2010 Cadillac CTS especially enjoyable to drive on the track. On the wagon, Automobile confirms, "the one and only transmission is a 6-speed Hydramatic with steering spoke switches to control up- and down-shifts in manual mode." Fuel economy is competitive, but the smaller engine doesn't show much of a benefit. Estimated fuel economy for the automatic 3.6-liter V-6 CTS with all-wheel drive is 18/27 mpg. With the smaller 3.0-liter V-6, "fuel economy is no better than that of the 304-hp 3.6-liter V6," Edmunds reports, "and the latter's power delivery is far more authoritative." An Eco Lux option on the base CTS sedan brings its highway fuel economy up to 30 mpg. "beats both Corvette and Camaro in steering satisfaction." The majority opinion of other reviewers, and from TheCarConnection.com, is summed up by Motor Trend. The Cadillac CTS, they remark, "drives like a proper BMW rival." The 2010 Cadillac CTS sedan has tight dimensions for its size; the Sport Wagon's far roomier, and both have top-notch fit and finish. The 2010 CTS is a snugly fitting machine, especially in sedan form. In front, firm sport seats give good support, with a little skimping of knee room where the elaborate center console flares. "The driving position is awkward for many, thanks to uneven pedal depth and the knee-room-robbing (though quite attractive) swoop of the center stack," Edmunds points out, also observing the central issue with the CTS: backseat room. "The sedan's shorter rear door openings and slighted leg room make it difficult to enter and exit." Kelley Blue Book notes, "The heated and ventilated front seats use 'thin-seat' technology for improved rear leg, knee and foot room," and while Car and Driver feels "even with a steeply raked rear window, the CTS offers a much larger and usable back seat" than other cars in the class, most reviewers have trouble with the tight-fitting rear seat. Edmunds puts those seats among the "ergonomic casualties" of the CTS, and explains it's because of awkward access through the rear's "triangular door." ForbesAutos gripes, "the rear seats are ill-suited for any occupant who has graduated from middle school if the trip is longer than, say, 20 miles." ConsumerGuide says the "marginal headroom is further reduced by the available sunroof." The CTS Sport Wagon's a different story. It's relatively easy to enter and exit, because it has longer doors and wider door openings at floor height-and that makes all the difference for those extra passengers. It makes even more of a difference for their carry-on stuff. The sedan isn't as useful because its trunk opening is small, Edmunds says: "Loading bulky items into the sedan's 13.6-cubic-foot trunk is hampered by a narrow opening." The big hatch on the Sport Wagon opens up more room and access. "The Sport Wagon's great advantage over the sedan's 14-cubic-foot trunk is its beautifully lined, 25 cubic feet of cargo space (53 with the rear seats folded)," Car and Driver reports. "In back, the seat-back releases can easily be reached from both the passenger compartment and through an open lift gate," Automobile explains, and notes the "folding cargo floor can be propped up in two different locations to contain bags of groceries." Under the flat cargo floor and built into its sides are trays, hooks, and a little basement-style storage area, all of which give the Sport Wagon a definite advan-tage over the CTS Sport Sedan's decently roomy trunk and its relatively smaller cargo opening. Quality mavens may quibble over the CTS' liberal use of plastic, but the interior boasts high-quality upholstery and trim that's certainly the equal of the other ve-hicles in the class, if more attention-grabbing. ForbesAutos says, "The instru-ment panel, steering wheel, portions of the console and door surfaces are cov-ered with leather and vinyl materials that are all cut, sewn and wrapped by hand and neatly eliminate most gaps and seams." Car and Driver mentions the "classy materials and top-notch fit and finish." However, Edmunds reports "a CTS sedan we had in our long-term test fleet displayed inconsistent build qual-ity." Noise and vibration aren't much of an issue. Car and Driver notes the smaller engine is "smooth and quite muted." Motor Trend calls the vibrations from the larger engine "the CTS's weakest link," though. "It's not overbearing, but you notice it because the rest of the car is so quiet." The 2010 Cadillac CTS gets very good safety scores, but they're not perfect, which leads to a slightly lower rating from TheCarConnection.com. The 2010 Cadillac CTS' safety is not quite best in class, but it's deemed very good by the agencies and auto Web sites reviewing its crash-test performance. The 2010 Cadillac CTS Sport Sedan / Wagon earns four stars for driver-side front impacts from NHTSA (National Highway Traffic Safety Administration), and five stars in the front-passenger and in both side-impact tests. The IIHS (Insurance Institute for Highway Safety) gives the CTS "good" ratings for impacts front and side, and the CTS is on their Top Safety Pick list. Standard safety equipment includes six airbags, as well as traction and stability control; all-wheel drive is an option on CTS Sport Sedans, standard on CTS Sport Wagons. Edmunds observes the airbags include "full-length side curtain airbags." OnStar is standard. Adaptive lighting and parking sensors are available as options on the 2010 CTS. So is all-wheel drive, which ForbesAutos says "is fast becoming a must-have in parts of the country that see snow." Visibility is a major issue in both versions of the 2010 CTS. "The view of the road in the inside mirror is partially blocked by headrests, the rear wiper, and the substantial D-pillars," Automobile reports, while Edmunds refers to the "compromised rear visibility." The CTS Sport Wagon's thick rear header "intrudes into the cargo area," Motor Trend observes, "making the optional nav system's rear camera screen quite helpful." The 2010 Cadillac CTS Sport Sedan and Sport Wagon offer TiVo-style memory for radio shows, a world-class navigation system, and an iPod connection-not to mention serious performance upgrades. With the addition of the CTS Sport Wagon, Cadillac's touched up the standard features on the lineup for 2010. The base sedan comes with power doors, locks, and mirrors; cruise control; automatic dual-zone climate control; a power driver seat; a tilt and telescoping steering wheel; an AM/FM/CD/XM audio system with auxiliary jack; an air filtra-tion system; and automatic headlamps. Base cars come with vinyl seats, a Euro-like touch that's disappointing. The Sport Wagon adds a power tailgate to that list. From that point, Edmunds describes a Luxury package that includes more standard features such as leather seating; heated seats; Bluetooth; a CD changer; and ambient lighting. The Performance package, they note, adds stan-dard 18-inch wheels, the FE2 suspension, and high-intensity discharge head-lamps. The same package on the bigger V-6 nets standard surround sound and a USB/iPod interface. The major options include a panoramic sunroof; Bluetooth connectivity; ventilated seats; a pet cover for the wagon's cargo hold; and 18- or 19-inch wheels and tires, to go with different suspension packages and all-weather or summer tires. In particular, reviewers note the CTS' advanced, easy-to-use entertainment system for its hard-drive music storage and a memory function that stores radio broadcasts. Kelley Blue Book points out that the sound system "will download and store your CD collection and operate your iPod from the pop-up touch screen," and CNET lauds the "tabbed structure" and improved screen resolution of the Infotainment system, commenting that the 40GB built-in hard drive is the largest they'd seen in a car to date. Edmunds is also wowed by the capabilities of the CTS's optional ($3,145) surround sound system, which has a USB port, iPod integration, and MP3 playback capabilities. It can also record and replay 60 minutes of traditional or satellite radio, on a rolling basis, in case you want to rewind to a section of a show you missed. Several reviewers liken the standout feature to TiVo. 60,000 miles with brakes as the only maintenance cost over 7 years. Great design, super suspension, great ergonomics for instrumentation, interior is well designed. The 6 speed standard transmission is flawless and really puts the fun back into driving.